Looking for something for Mom for that special day coming up? We’ve got a few great ideas that she’ll not only adore, but you can proudly tell her that you’ve kept it local. 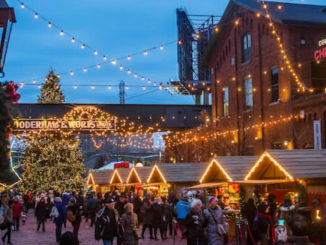 Check out these mother’s day gifts in Toronto. Tonic Blooms x Leeloodles Bouquet has recently launched a special collaboration with 8 year old Toronto artist Leeloodles. The “Leeloo bouquet” features flowers which the young artist drew in an illustration that is also featured on a limited edition tote bag. Leeloo started designing t-shirts for friends and family and soon people on the street began wanting her designs. With funds from her t-shirt sales, Leeloo was able to adopt a Polar Bear at the Toronto Zoo. 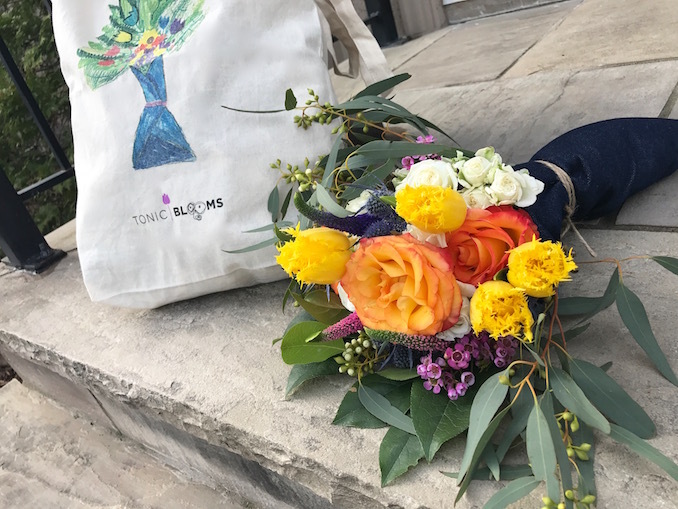 When you order this bouquet+tote bag collab, 10% of the proceeds will go to Nova’s Ark community programs — Leeloo’s current charity of choice. Moms need to remember to take care of themselves and a great skincare line is welcomed. Graydon Plant Powered Skincare product line was inspired by her personal health and wellness journey. She’s extensively researched and tested the power of using pure plant-based ingredients in her luxurious line of products. 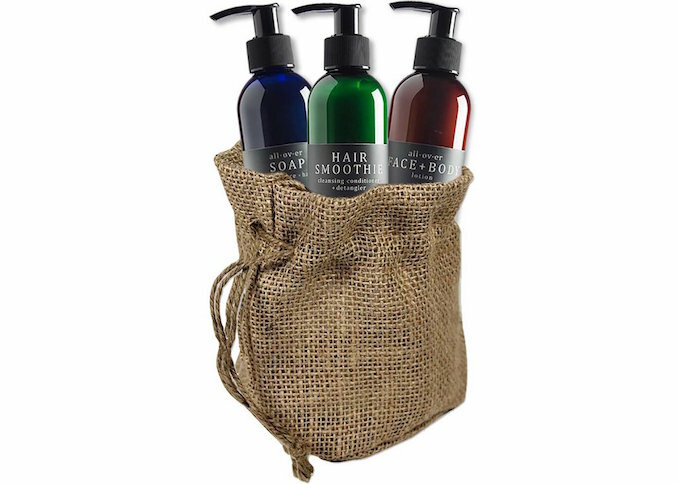 This gift bundle includes three of our favourites: Hair Smoothie, all Over Soap, and All Over Face + Body Lotion. 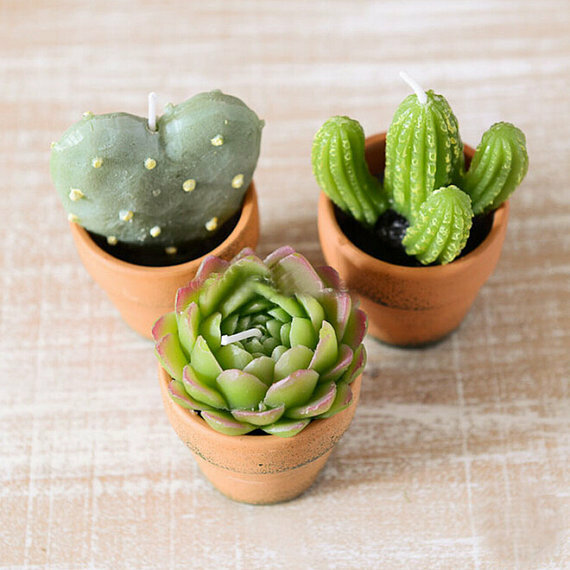 Hava Collection Cactus Collection (Etsy): We love our succulents and cactus is a strong trend this season for the home. This sweet mini hand-made tea light collection from this artist doesn’t require any sun or water. 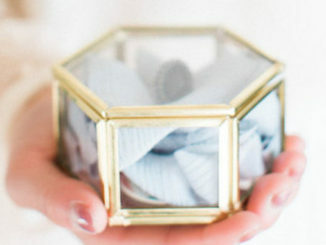 Perfect for entertaining or accents around the home. The city is filled with moms who can relate to Rebel Mamas and their blog therebelmama.com who unite over their no-holds barred posts. 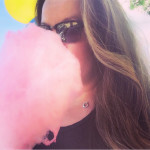 They’ve come to be known as the anti-mommy blog and hits the mark with modern mommies globally. 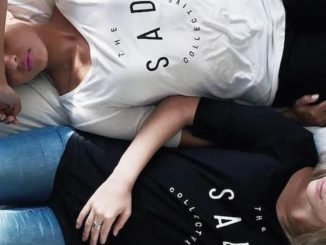 The squad has forayed into pop-up shops with merch that bears their brand with moms who can relate. 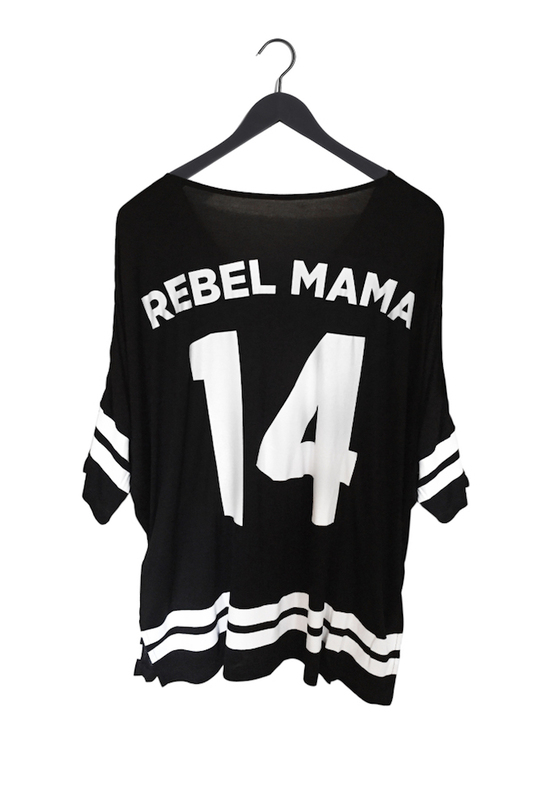 This team jersey is perfect for the mom who drops the f-bomb as much as she enjoys her caffeine intake. Available on their site and at pop-up shop events across the city. BRAVE Leather has been around for 25 years. Designer Scott Irvine works with fine craftspeople to create truly artisan pieces that are functional for everyday. All pieces are custom-made in Toronto and are done by hand –the company is committed to fair, living wages for their staff and artisans. 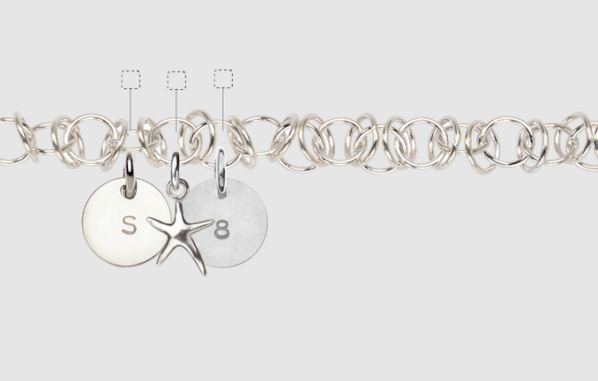 This modern and timeless Dora Leather Wrap makes for versatile piece for a finishing piece around the neckline or wrapped around as a bracelet. 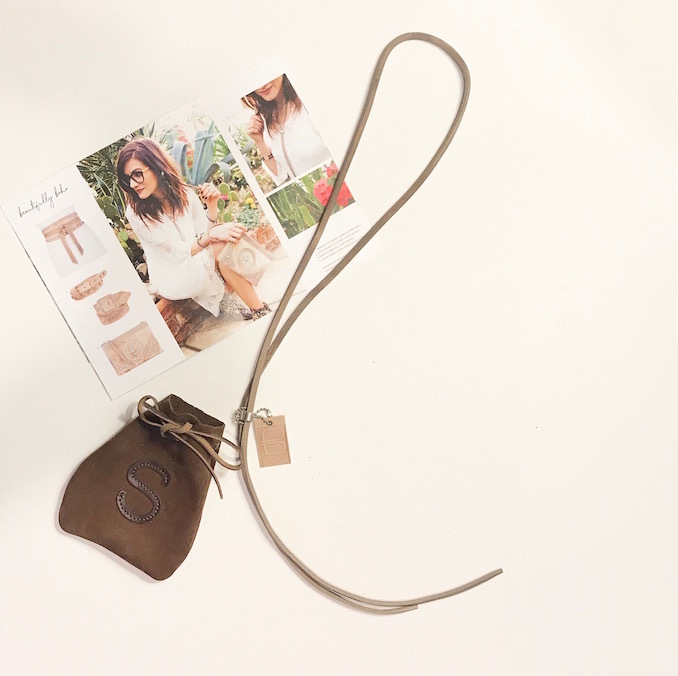 For mother’s day orders, it will come with a free personalized leather jewellery pouch. 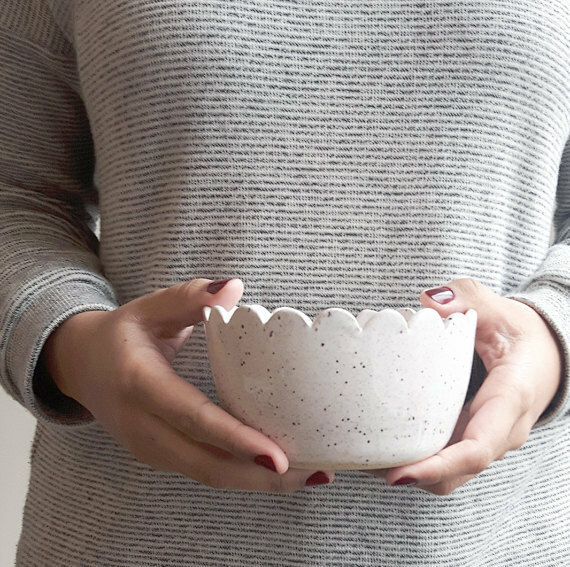 We’re seeing pretty scalloped finishing pop up everywhere and we love this beautiful stoneware clay handmade bowl by Etsy artisan Hinkleville who has a background in studio based visual arts and art history. Her work is unique, fun and meant to be used. Not just pretty things to be admired. Quiet moments for mom are often cherished especially with a great book in hand. 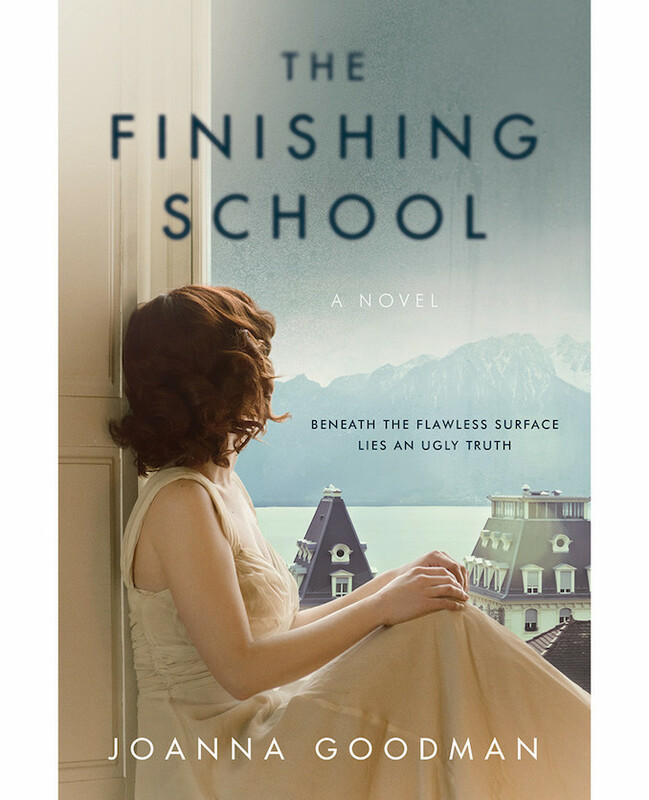 The Finishing School by local author Joanna Goodman (Harper Collins) recently published a provocative mystery novel about a successful writer who returns to her elite Swiss boarding school to find answer to a tragic accident that happened when she was a student twenty years earlier. Full of secrets and intrigue this story takes readers on a journey of the prestige and uncovers surprising truths. Author Goodman is also CEO of Au Lit Fine Linens a family-run business in the city. Tell us about what Mother’s Day Gifts we should know about. Happy hunting!